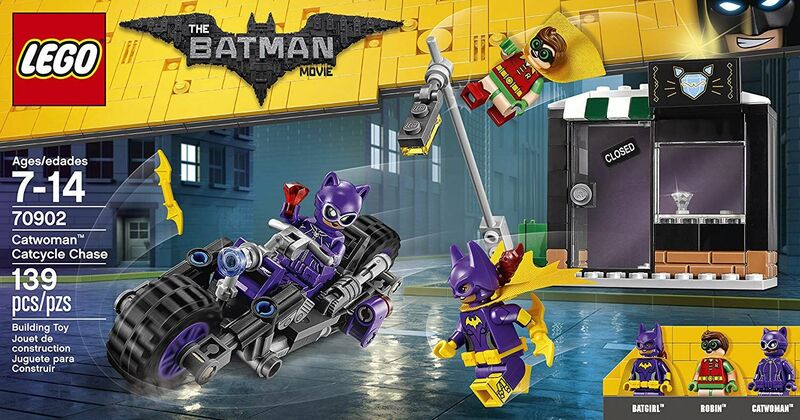 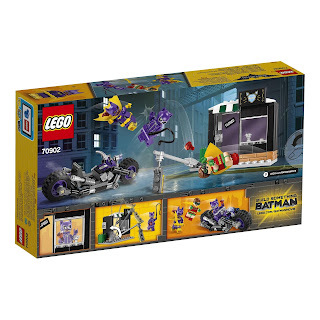 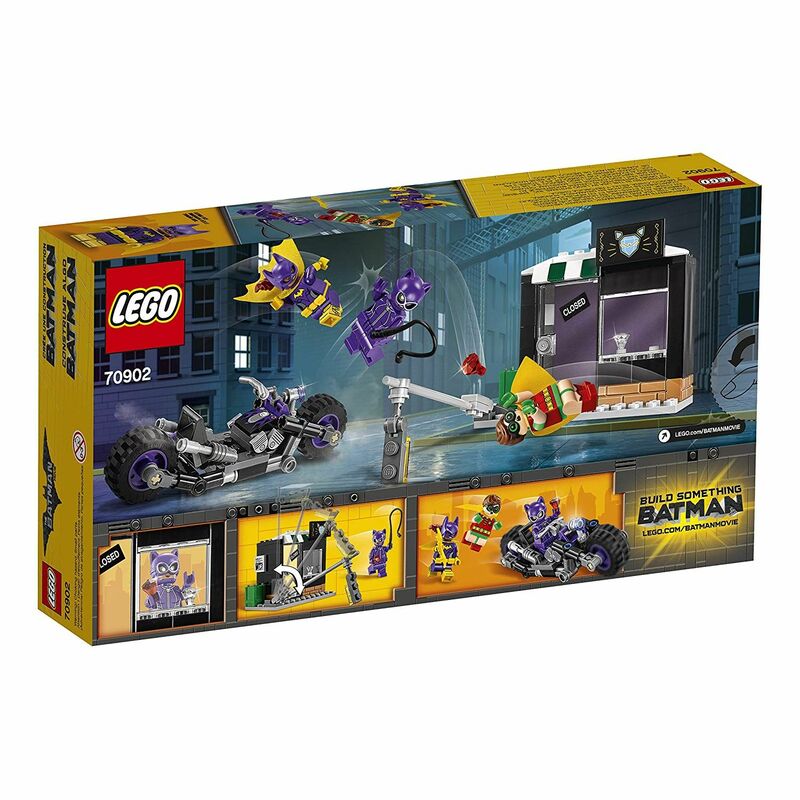 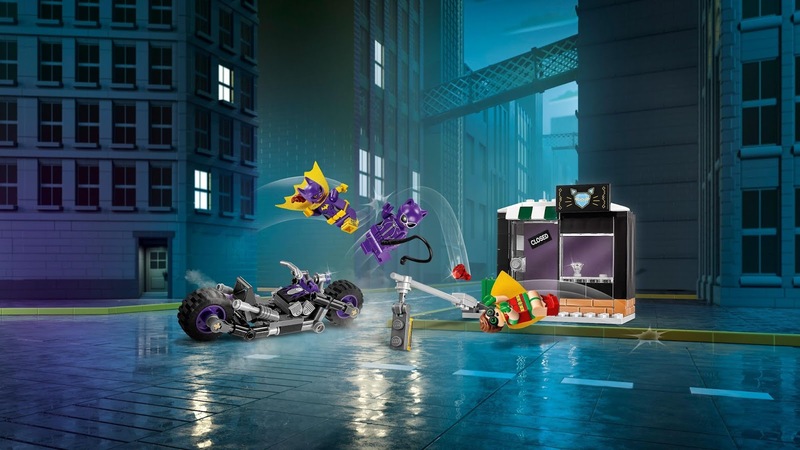 come with a catwoman catcycle and a buildable street scene. 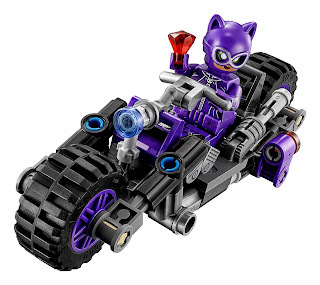 the catwoman catcycle has a minifig seat, a printed dashboard, big wheels with rubber tires, an engine and a transparent headlight. 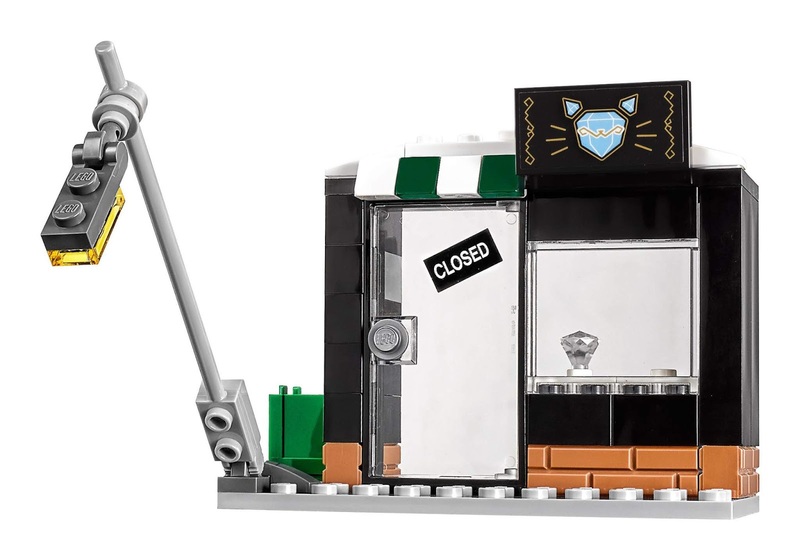 the buildable street scene has a jewelry store, a window, an openable door, a roof shop sign, a tippable over lamppost and a trash can. 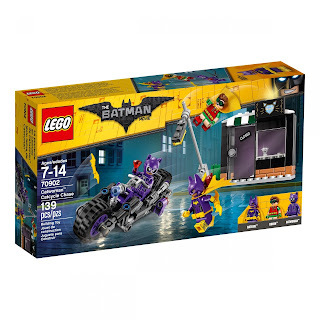 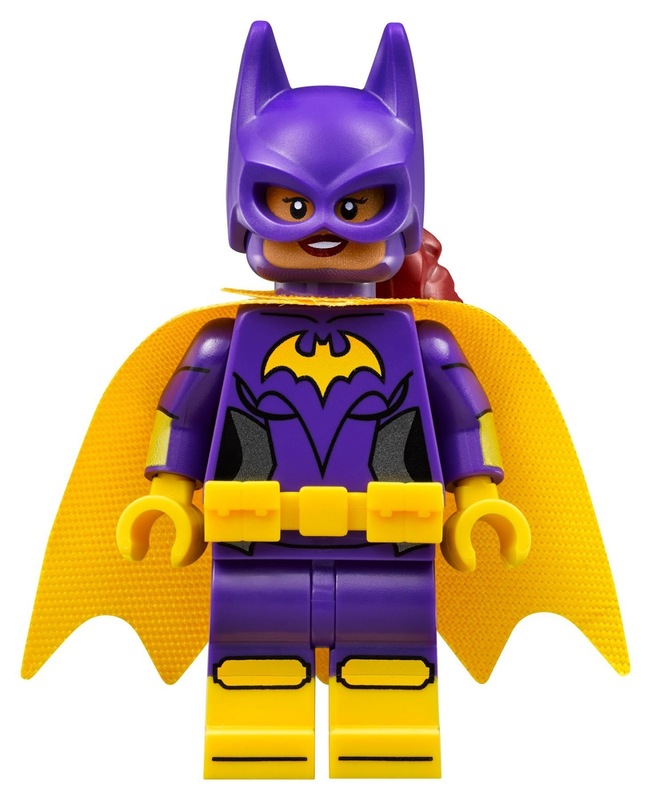 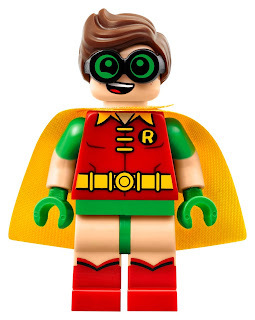 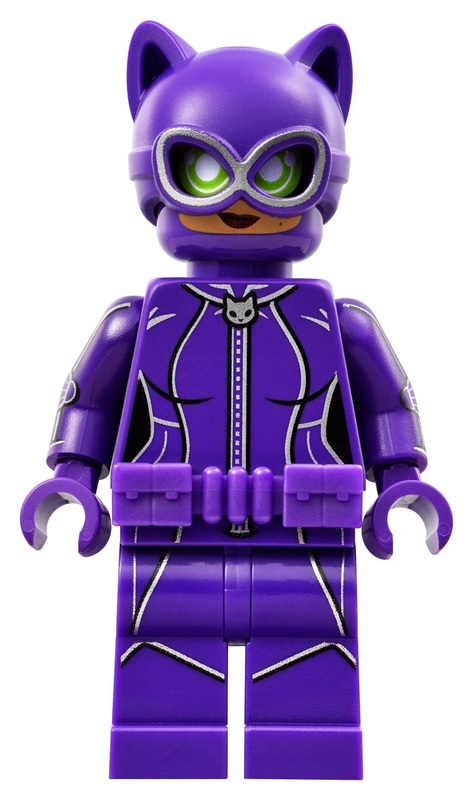 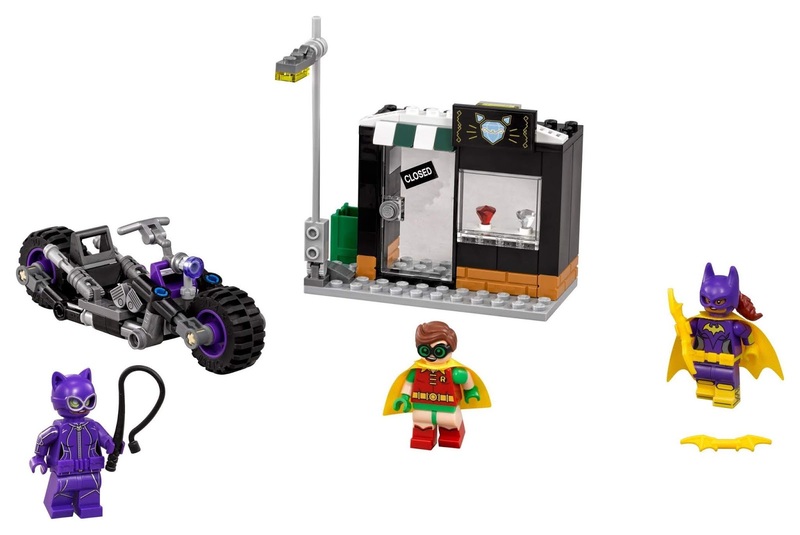 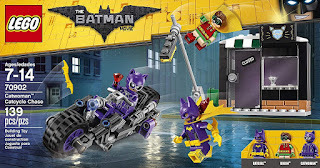 minifigs included a catwoman minifig, a batgirl minifig and a robin minifig.